If you need to know exactly when a device is entering or leaving a particular geographic area, we have you covered. You can set up multiple geofences for each device you are tracking and specify if you would like to be notified by email, a Family Tracker notification or both. The direction of travel can be specified as well - on the device entering or leaving or both on entering and leaving a particular geographic area. The tracked device to have Family Tracker minimum version 5 (iOS) or 4.4 (Android) installed. An active Pro Subscription. An active Pro Subscription by the tracker allows setting up multiple Geofences for every device they are tracking, even if the tracked devices are not subscribed to the Pro Features. 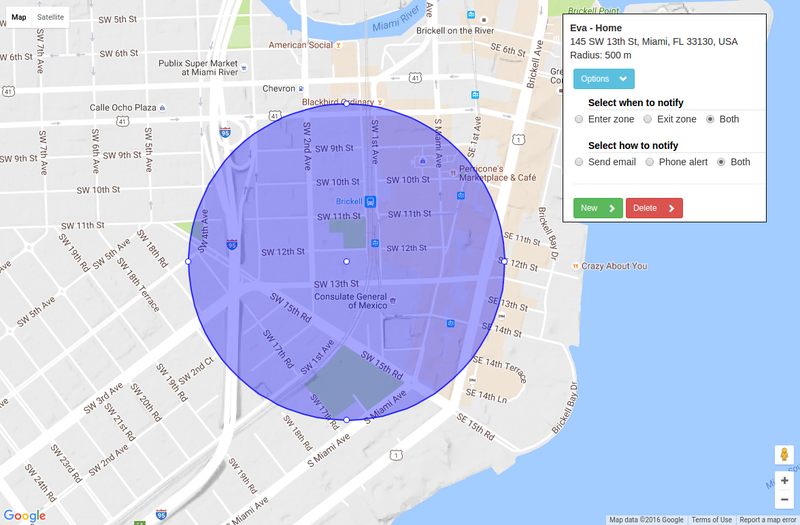 If a tracker device is not being used and the tracking is done via the web only, then the tracked device will need to subscribe to the Pro Features in order to use Geofencing. Please fill in the contact form below and our staff will respond to you shortly.